Marathons are a test of endurance, agility, and sheer will-power. Composed of 26.2 miles of terrain distance, each year millions of runners will try to accomplish this feat. 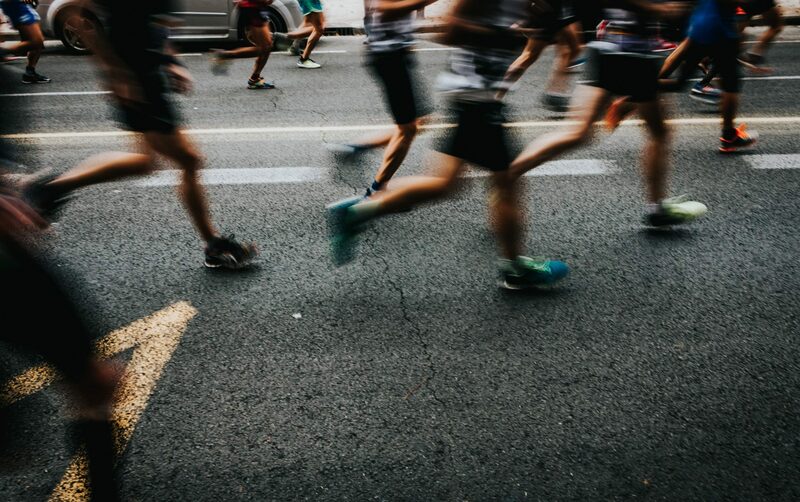 So, whether you’re currently in training, aspiring to a life-long dream, or simply looking on from the sidelines, it’s time to find out more about the biggest marathons in the US and consider adding at least one to your bucket list. Let’s start our nation-wide tour of the most popular marathons in the US. Held on the first Sunday in November, the New York City Marathon takes its participants through a scenic, yet tough, tour covering five boroughs within the city––Staten Island, Brooklyn, Queens, the Bronx, and Central Park in Manhattan. 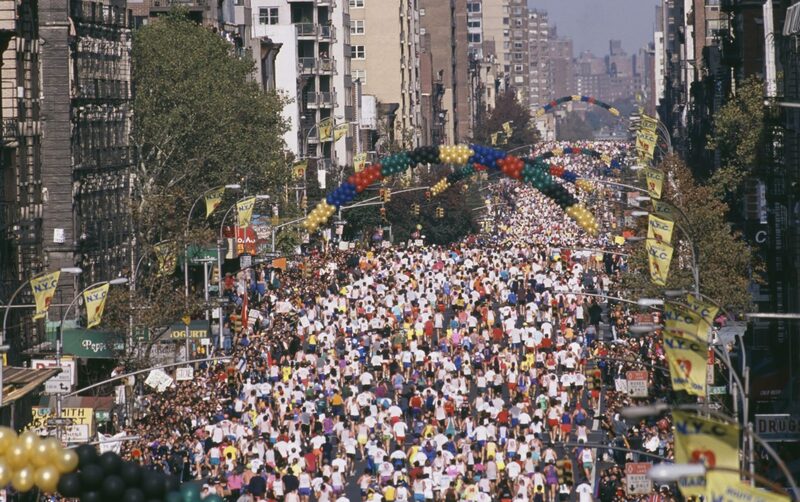 Started in 1970 by Fred Lebow and Vince Chiapetta, the original race had only 127 participants (55 finishers), a far cry from the 52,812 people who crossed the finish line in 2018, making it the largest marathon in the US and a perfect place to start our journey. No list of major US marathons would be complete without the great Chicago marathon. The Windy City’s 26.2 mile run usually takes place the first or second Sunday in October, during a (hopefully) perfect fall climate. The race is one of the World Marathon Majors, and it’s no wonder––44,508 people passed the run’s finish line in 2017. Originating in 1977, when it brought together a collection of 4,200 runners, today’s race takes willing participants on a “flat and fast” course that begins and finished in Grant Park and passes through a total of 29 of the city’s neighborhoods. An annual marathon held on the third Monday of April (Patriot’s Day), the Boston Marathon is one of the most popular runs in the US. 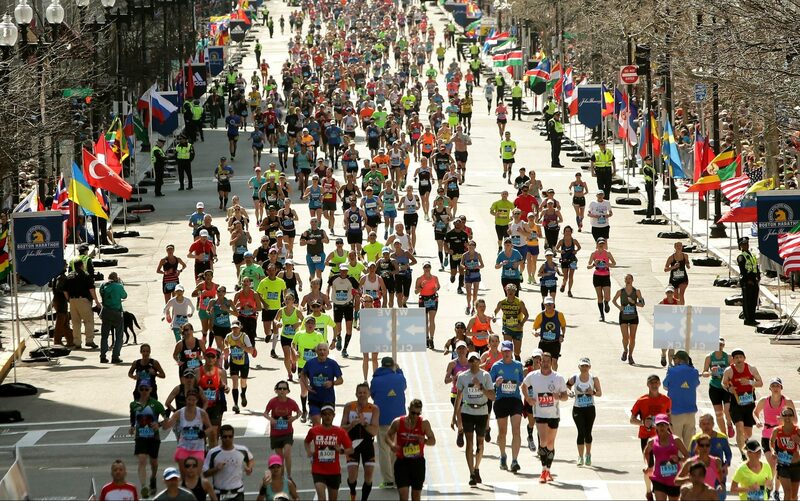 The race’s course starts in Hopkinton, Massachusetts, and finishes in Boylston Street in Boston––the same streets it has been run on since the race began in 1897. 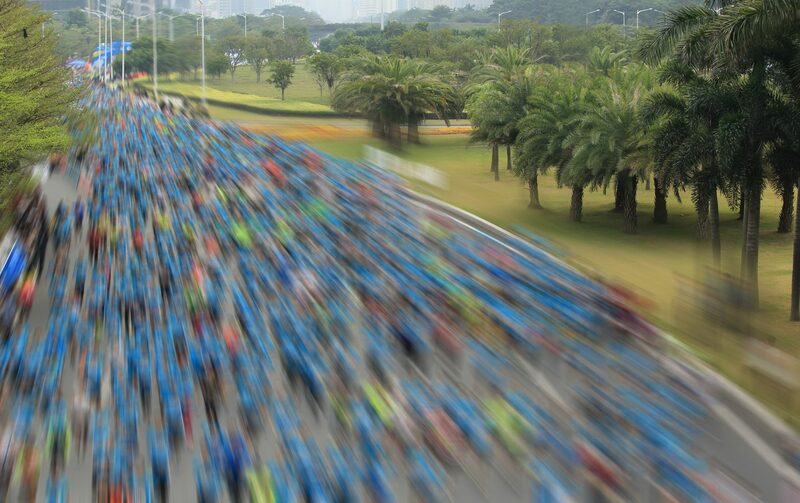 Each year over 30,000 people compete in the marathon, supported by 500,000+ dedicated spectators. Making it an exciting run for any willing participant. Adding to the list of top marathons in the US is the famous LA marathon. 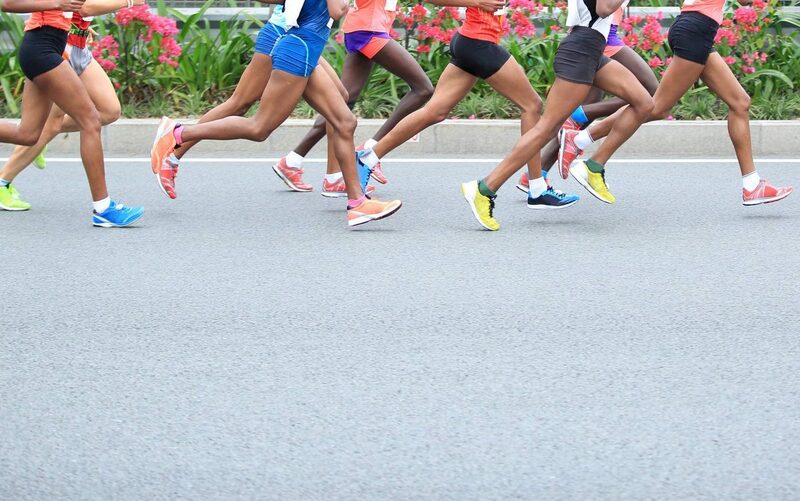 formerly known as the City of Los Angeles Marathon, this spectacular event was established in 1986 and draws over 25,000 participants each year originating from 50 US states and 63 worldwide countries. Starting from the city’s Dodger Stadium, the event takes runners on star-studded tour of LA’s famous streets including Downtown LA, Hollywood, Sunset Strip, West Hollywood, Rodeo Drive, Santa Monica Boulevard, and more before ending in Santa Monica. Runners of this course have the fortunate opportunity to experience the sunny state of Hawaii. Considered one of the best marathons to run in the US, the Honolulu Marathon takes place at an expected time of year––December––and is attended by over 25,000 keen sportspeople. Starting in Downtown Honolulu and ending in Hawaii Kai, the race brings participants on a sightseeing tour, albeit one of endurance, along Hawaii’s beautiful coastline. Key points include Iolani Palace (look out for the Christmas lights), Diamond Head and Kahala. Keep That Rhythm – How Often Should You Change Your Running Shoes?